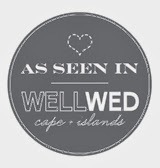 Thank you to all the wonderful couples, friends and family members we met and spoke with at the Western New England Bridal expo this year at the MassMutual Center. 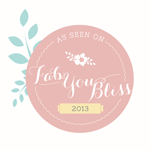 We had fun getting to know you! Thank you also for participating in our Trivia Game. We had a lot of really great sports out there! The winner of the Trivia raffle was Sarah Skrodzki!! Congratulations on winning a FREE Day-of Coordination from Eutopia Events! At this Show, we entered into the table top design contest. Our table top design was a little bit vintage, a little bit mod. We love to mix things up a bit. We coordinated our booth design with our table top design (of course!). 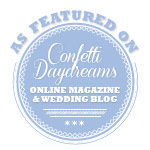 We used teal and yellow and incorporated some lace and frills. We didn't win the table top contest, but we had fun trying. We appreciate all the votes we did get though, thank you for the support! Thank you Michelle Girard Photography for the great pictures of our table top design! She took some really nice photos at the expo on Sunday. Also a special thank you to A Perfect Setting for the rentals. 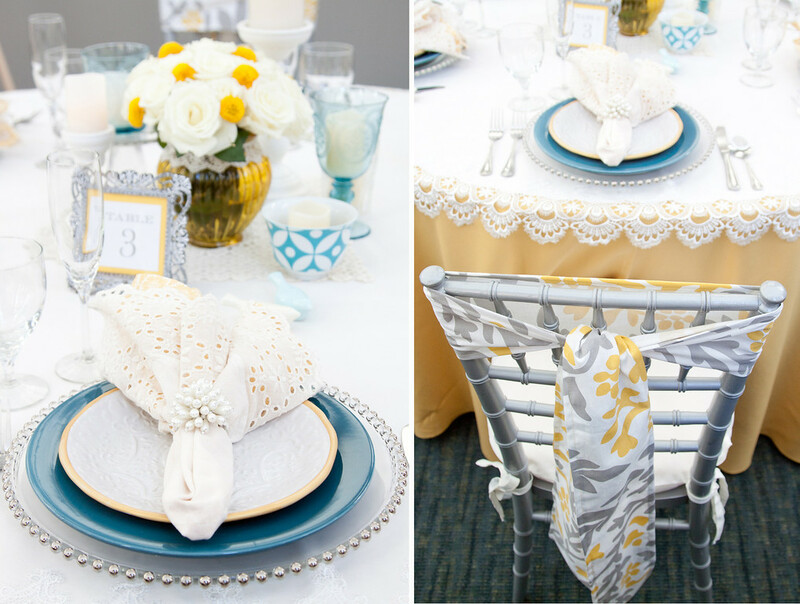 These items included the chairs, yellow table cloth, chargers and place settings. 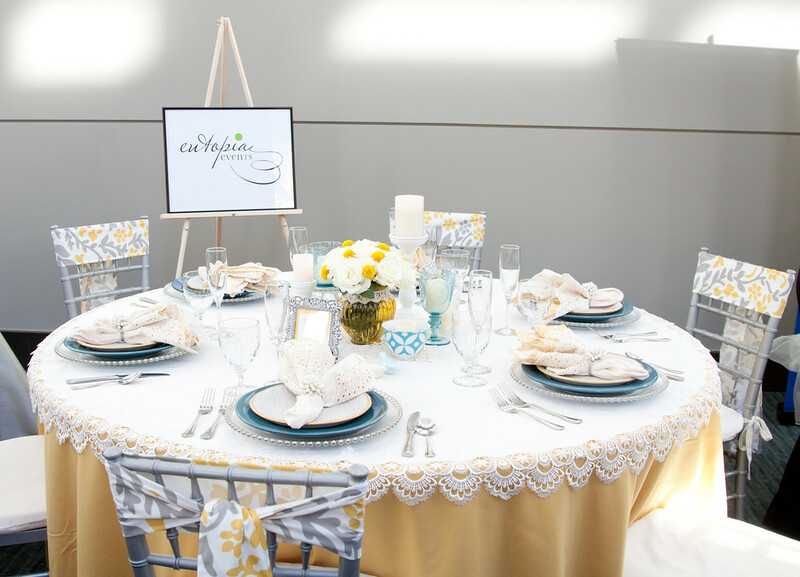 Some of the other items on our table were found at Target (teal plates, centerpiece elements, yellow napkins), Pier 1 (lace napkins and napkin rings), Pottery Barn (gold-rimmed plates), Marshal's (lace overlay), Joanne's Fabrics (fabric for the chair ties—handmade by Eutopia). We just had a great weekend at the Western New England Bridal show at the MassMutual Center in Springfield. Thank you CJC Events for putting on yet another fabulous expo! 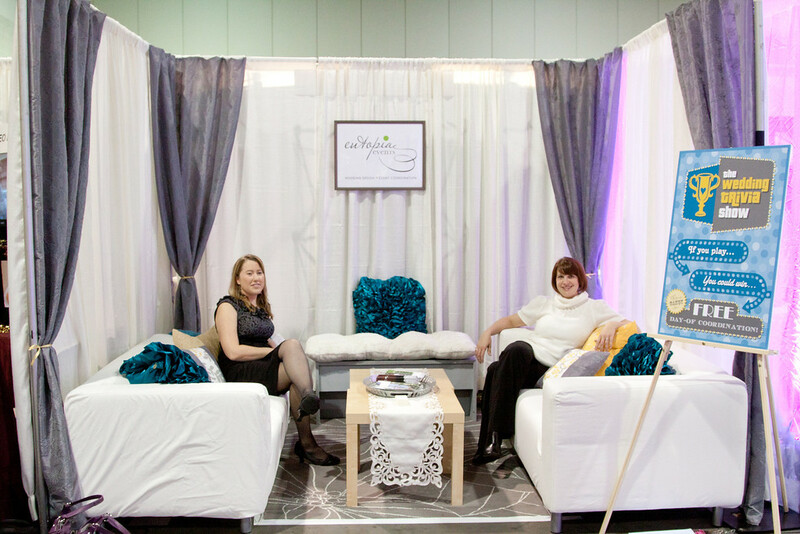 Here is a picture of Lauren and Ruthie in their booth, courtesy of Michelle Girard Photography. More photos and details to come!